THỪA THIÊN-HUẾ — Archeologists in the Indo-Pacific area have gathered in the city of Huế in the central province of Thừa Thiên-Huế for discussions on the progress of the sector in recent years. The ongoing 21st Congress of the Indo-Pacific Prehistory Association (IPPA) in the city accommodates 700 archeologists from 35 countries including Việt Nam for six days of discussions. The congress started on Sunday and will continue until Friday, with several separate topic meetings as well as visits to relics built by the Nguyễn Dynasty (1802-1945) in Huế. IPPA’s Secretary-General Ian Lilley said the congress would be a chance for archeologists around the world to gain a deeper understanding of the progress of archeology in the Indo-Pacific region. Phan Thanh Hải, director of the Huế Monuments Conservation Centre and a co-organiser of the congress said the congress would feature different archeology topics, with a focus on the new findings made in the area over recent years. “Discussion on new theories as well as the application of high technology for the job will be facilitated in the congress meetings,” he said. 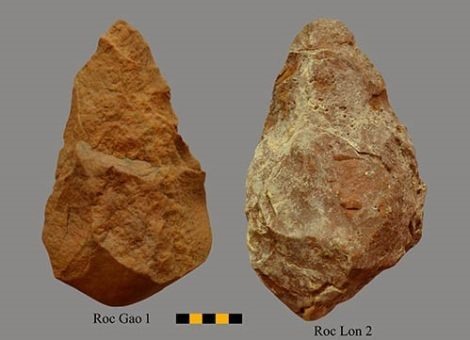 According to Nguyễn Giang Hải, director of the Việt Nam Institute of Archeology, Việt Nam would announce new findings from the pre-Epipaleolithic era found at sites in the country’s Central Highlands region. Phạm Văn Đức, director of the Việt Nam Institute of Social Sciences said the congress would discuss the benefits of archeological studies for the whole community. “Archeology has grown from studying the basics to getting involved with social issues. The growth is expected to benefit community life in light of heritage conservation, culture, education as well as connecting people from different regions and races,” he said.